If you have had the chance to see just a little glimpse of the rich and mighty, then you know for sure that luxury tops the characteristics of such lifestyle. But it is all clear that money isn’t just everything, and this is seen clearly by the way people send money on the people that they love. I believe that the most expensive weddings in the world didn’t just happen because the couple had money, but because of the love and the mutual attraction that they had for each other. Today, we know that history presents the most expensive royal weddings ever known in human history, both in written and reality context. When you look at them in picture, you get to agree to one thing; they look compatible and surely deserve each other. The beautiful celebrity wedding looked romantic, having been decorated with highly priced flowers from India. The magical touch and irresistible love could be seen in reality between the two. What would you do with $3 Million Dollars? Perhaps you would build a house and buy a convertible then conduct a small wedding and start a new life with a new family. 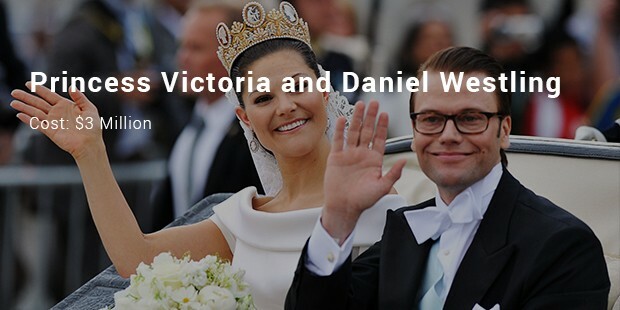 Princess Victoria and Daniel decided that, for the love they have for each other, they were going to spend the $3 million dollars to organize a wedding that would join them for a lifetime ever after the wedding. 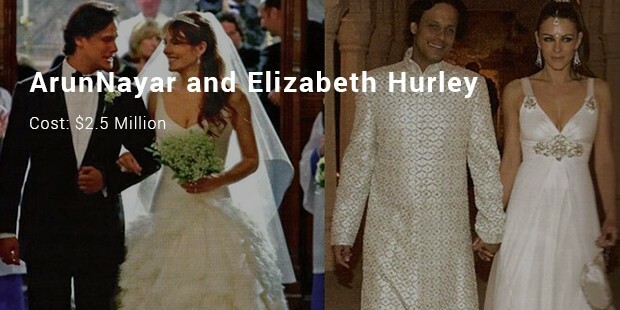 Celebrated in Suderly Castle, the wedding between Elizabeth and Arun is valued at $2.5 Million USD. The wedding is now eight years old, and actually started on a romantic note with the celebration between the two taking eight good days. The best I could call this is crazy sweet love that was once meant to be. 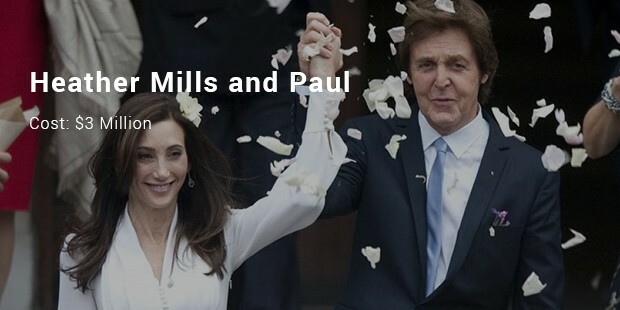 The celebrity wedding that was valued at a price of $2 Million USD is recorded in history as one of the costly weddings ever in the history of love, marriage and family. The marriage has 190 guests invited and the most amazing part is that the wedding took place in a nearby forest. I feel your wedding is going to be next. I am not making a prediction that you are going to spend a lot especially in this hard economic times, but you need to make sure that you make her feel special. If that marriage is going to last, she needs to know that she is the only woman in the world right from the very first day.